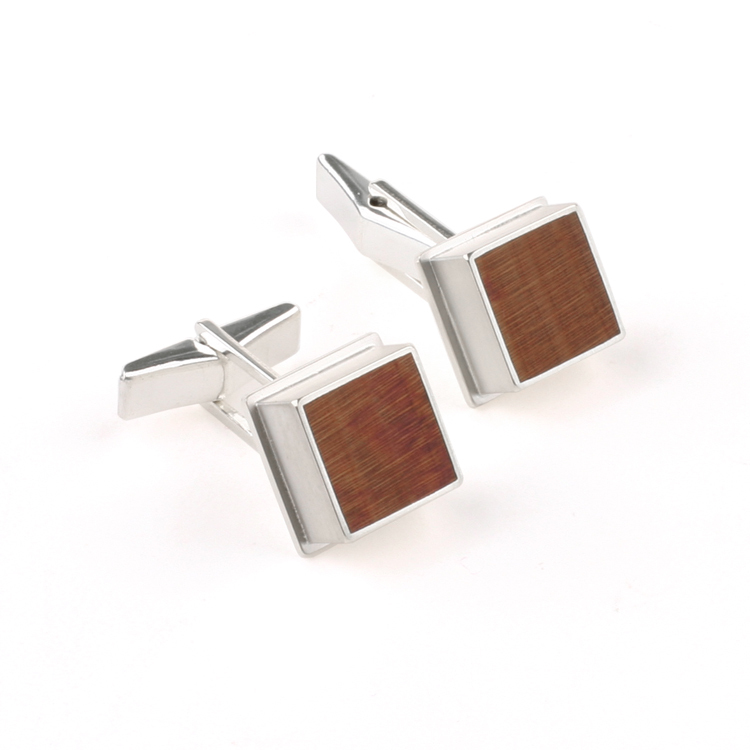 Great silver cuff links with a cherry wood inlay. The square measures 12×12 mm. the hight is 9 mm. The finish of the silver is satin (brushed). The sterling silver mechanic is of a very good and sturdy quality. 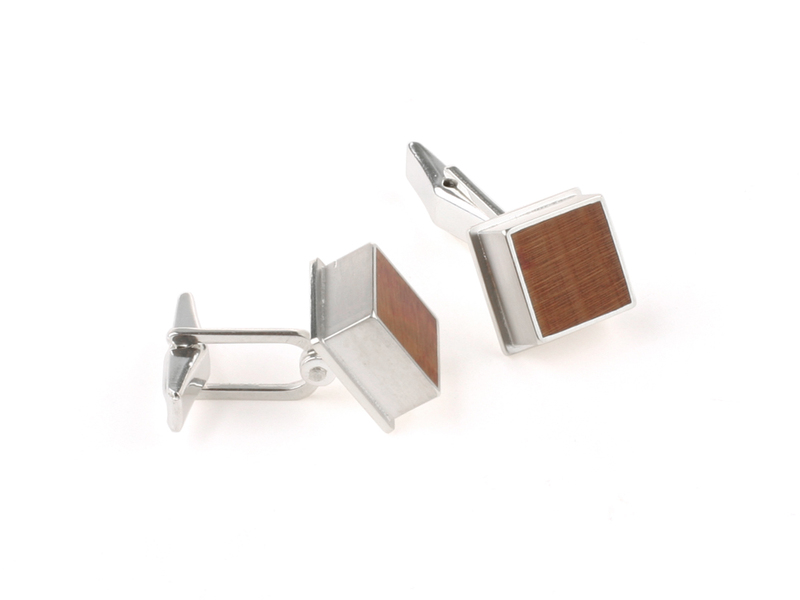 On request we can make these cufflinks in 14 karat white or yellow gold. And we offer the choice to use ebony instead of cherry wood. 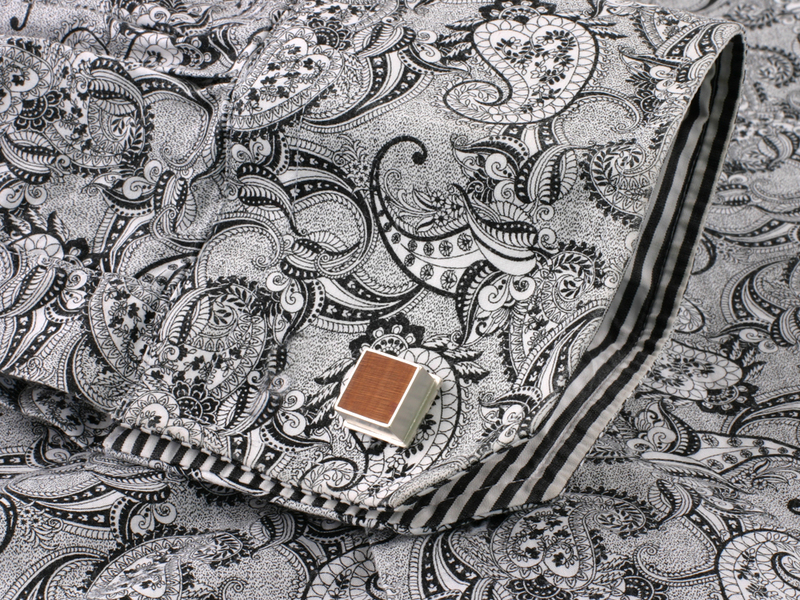 All of our pieces are hand crafted with great attention to detail and quality. They are made in our atelier in Wijnjewoude, The Netherlands. Our jewelry is provided with our Maker’s Mark.